Recently you may have noticed that it’s been surprisingly difficult to get your hands on the paper bags you’re used to getting. Or it could be that your beloved stackable deli boxes are nowhere to be found. Perhaps your supplier’s out of stock, or the local restaurant supply warehouse can’t keep it from flying off the shelves. You might be wondering where on earth all the paper bags or gable boxes have gone. It’s OK, we can explain (and help get you what you need). 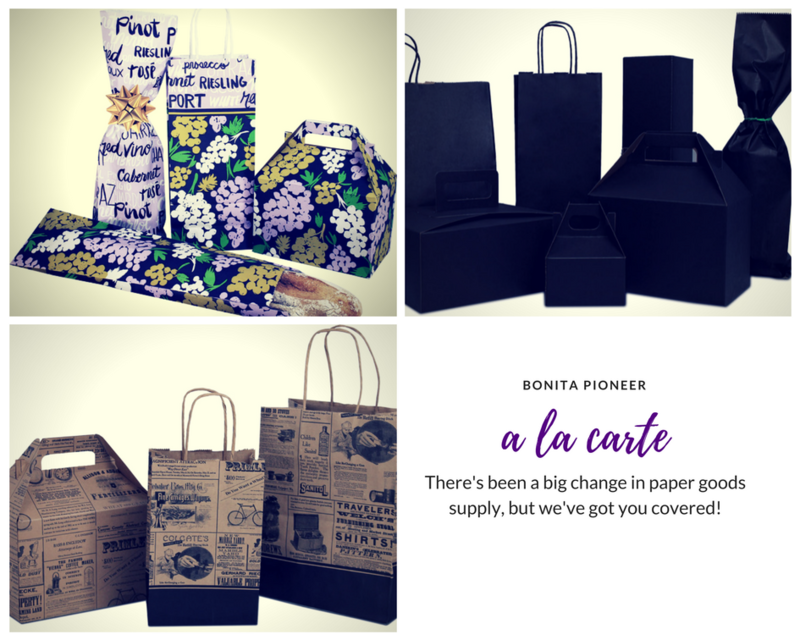 Earlier this month, there was an acquisition that led to an end in production of the Bonita Pioneer “A La Carte” line of bags and boxes. This was a very popular line of packaging for both food and retail companies. A flood of phone calls came from this recent acquisition. 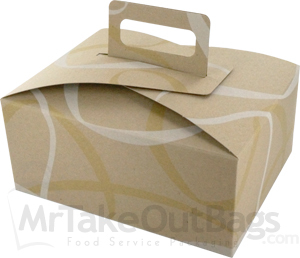 Business owners were in a panic trying to find the Boulangerie stackable handled deli box they use for all their catered lunch events. 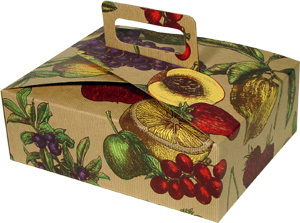 Others were desperately searching for Fruit Bowl gable boxes with matching handled wine bottle bags. It’s as if the whole line of A La Carte suddenly vanished. We hate seeing customers left stranded without their go-to packaging, so we’re working to keep these items available to you by bulking up on inventory. We’re even investigating the option of recreating some classics in order to keep them on the shelves. Your presentation has an effect on your overall business, and we want to help you maintain that elevated look you’ve created for your company. 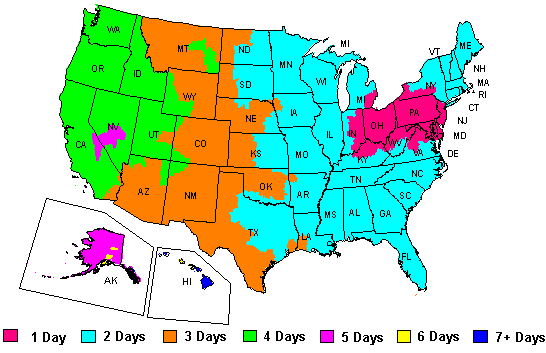 You can rely on us to continue stock as much Bonita Pioneer packaging as we can. Don’t see the item you’re looking for on our website? Give us a call and let us help! Our experts can be reached at 888-321-2248 Monday – Friday, from 8:30 a.m. – 6p.m. EST.